Here we go Guy's and Gal's. My apprentice D is ready to offer up some good deals on tattoo work. 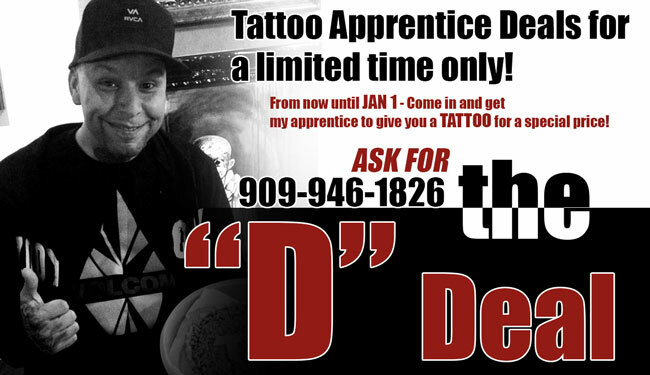 From now until January 1st "D" will be pricing tattoo work way below the average price. You must be asking yourself why such great deals? Well again he is my apprentice, so this is a learning experience for him. I will be there to guide him through the whole deal. Infact I will put the gloves on myself and help out to insure you get an amazing tattoo. Here's A Photo Of The Last Tattoo 'D' Did.